Westminster College is a four-year liberal arts college located in rural New Wilmington, Pennsylvania. Through a series of comprehensive interviews with administrators, faculty, and students, BD&E developed two brandlines that genuinely reflect the Westminster experience. “More Than You Imagine” and “Reimagine You” have emerged as the brandlines to bring this remarkable college to life. “More Than You Imagine” has utmost application to Westminster College as a whole. This brandline speaks to all of the benefits of the College without locking itself into a single, narrow feature. 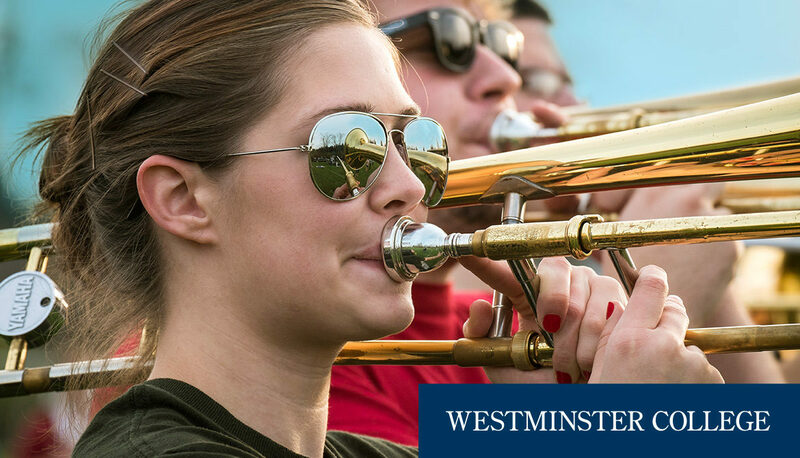 It is an invitation to learn more about what Westminster has to offer while establishing an aspirational quality to the message. From a recruitment perspective, Westminster needed a way to engage its target audience. “Reimagine You” was the perfect solution. This powerful and compelling message broke the spell of disengagement, and excited prospective students and parents alike. In an effort to engage prospective students, BD&E designed an official viewbook, departmental brochures, a search piece, a postcard series, and posters. By pairing highlights, features, and benefits with photography of the beautiful campus, this package gave potential students a snapshot of the unique Westminster experience. Following the implementation of the admissions marketing campaign, Westminster saw a 21% increase in applications and a 20% increase in first-year students compared to the previous year. This new class included students from 20 states and 4 countries, adding to the college’s diversity. BD&E worked closely with Westminster College to develop a website that would meet all of the College’s needs. BD&E designed a website with an intuitive layout that both allowed users to navigate easily and articulated the College’s updated brand. The website had great success in achieving its goal of driving prospective students to engage with Westminster to increase admissions. BD&E developed a comprehensive campaign titled “Ever Higher.” Westminster called upon alumni for support in several different areas, such as undergraduate research, scholarship funds, athletics, and campus preservation. By highlighting the College’s accomplishments using past donations, the campaign showed alumni how impactful their gift could be. The campaign was extremely successful, raising over $47.5 million.